The Probe compensation cable TP-DB9-BNC-30 is a cable that provides easy access to the probe compensation connection at the Handyscope HS6 DIFF extension connector. The Probe compensation cable TP-DB9-BNC-30 is compatible with the Handyscope HS6 DIFF. When your Handyscope HS6 DIFF is equipped with SafeGround, it is enabled and you want to use attenuating oscilloscope probes like the Oscilloscope Probe 1:1-1:10 - HP-3250I, the probes require a frequency compensation to match them with the input channels. For that purpose, the Handyscope HS6 DIFF has a dedicated output on its extension connector, that produces a 1 kHz, -1 V to 1 V square wave signal. 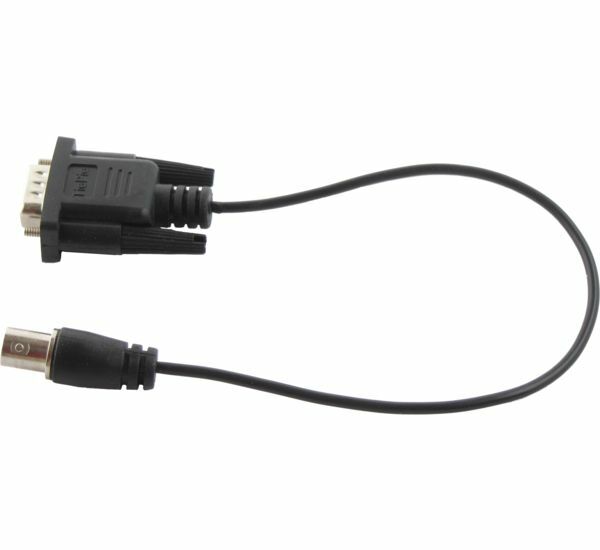 The Probe compensation cable TP-DB9-BNC-30 gives an easy access to that signal. To connect the probe to the probe calibration signal at the extension connector of the Handyscope HS6 DIFF, remove the sprung hook from the probe and connect the BNC adapter that is delivered with the probe. Connect the Probe compensation cable TP-DB9-BNC-30 to the extension connector of the Handyscope HS6 DIFF and the probe with BNC adapter to the BNC connector of the Probe compensation cable TP-DB9-BNC-30 . Make sure to set the probe to its x10 setting and follow the probe compensation procedure. The table below shows detailed specifications of the Probe compensation cable TP-DB9-BNC-30 .